Habitat - Bogs, pond margins, seepage areas. 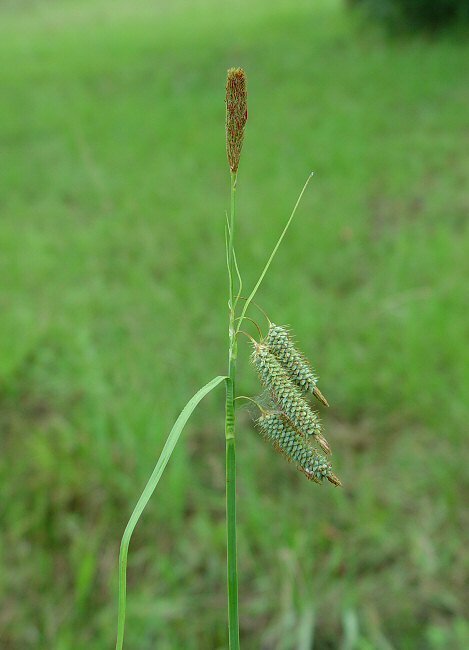 Other information - This attractive sedge can be found scattered throughout much of Alabama. 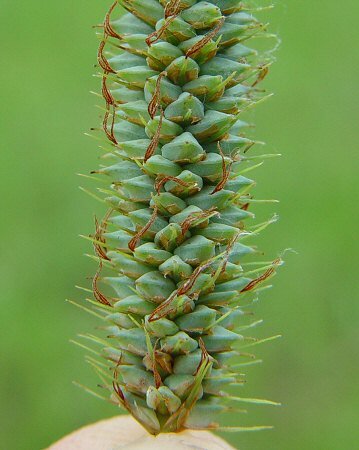 THe plant can be identified by its pendulous pistillate spikes, which are typically androgynous, and its glaucous fruits. The fruits are essentially smooth. Other similar species have fruits that are obviously ribbed. 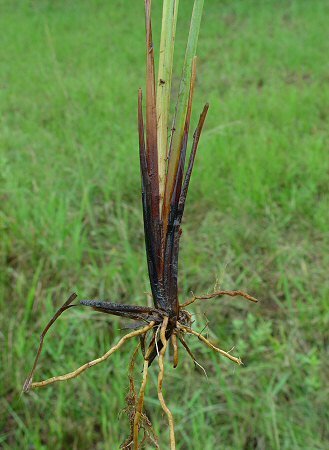 These other species also have at least a few of their pistillate spikes erect. 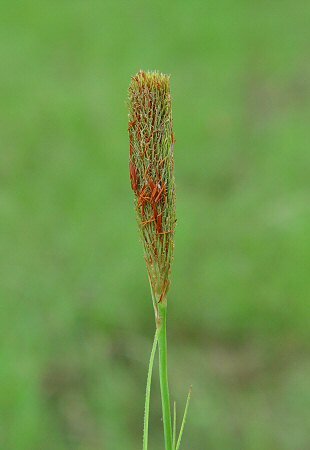 The genus name Carex is the classical Latin name for the plant. 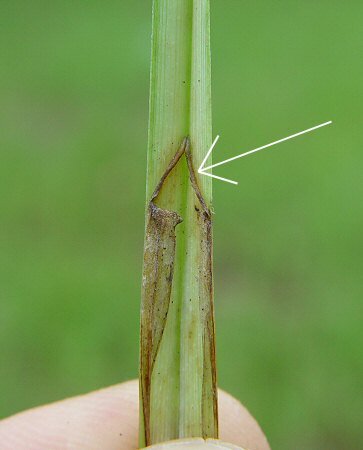 Some believe the name derives from the Greek "keirein" meaning "to cut" referring to the sharp leaf margins of many species. 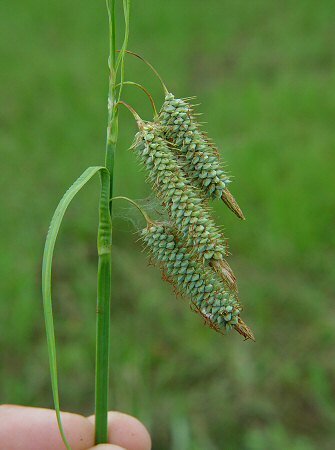 The species epithet glaucescens derives from the Greek "glauc" meaning "gray, bluish-gray" and the Latin "esc(ens)" meaning "becoming, slightly" referring to the bluish fruits of the plant. Photographs taken off Lee Rd 54, Lee County, AL., 7-31-05.